Handmade, personally delivered flowers make the perfect gift at Christmas, especially for those who can't make the journey to be with a friend or relative. What's more, last-minute orders are no problem, with same day delivery in Grangemouth and surrounding areas. At Flowers for all Occasions we guarantee the lucky recipient will receive a beautiful festive bouquet or arrangement perfect for Christmas. As well as next day delivery, a same day delivery service is available on all orders placed before 2pm local time, meaning the service is great for last-minute gifts, whatever the occasion. 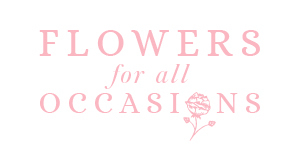 At Flowers for all Occasions we are able to deliver a wide range of festive gifts, from a traditional Poinsettia plant or festive hand-tied through to a Christmas table centre with the extra wow-factor, at prices to suit all budgets. Why worry about Christmas when you can trust it to the experts! For more information about our product range this Christmas call us or order online from here. If you need to send Christmas flowers to Grangemouth look no further and let Flowers for all Occasions take the hassle out of ordering!